When it comes to the porcelain throne adorning the bathroom, many residents simply take the convenience and sanitation for granted. While the toilet and its sewer lines are built to provide service for years with little maintenance, the act of flushing improper items down can create a plethora of problems. When you’re in need of emergency plumbing services, it’s important to find a reputable plumbing contractor that can fix all issues in a timely manner to minimize the damages done to your home or business. Action Jackson plumbing is proud to be your go-to plumbing company in Edwards, performing quality services across the Pacific Northwest. Today, we’ll conclude last week’s blog that explained a few of the numerous items that should definitely not be booking passage through your business or home’s sanitary plumbing. 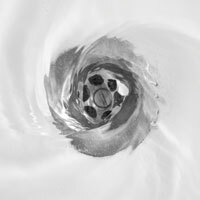 By avoiding the habit of flushing these prohibited items, you can help to maximize the health and longevity of your plumbing. If you’re in need of a local plumber in Washington, be sure to reach out to the Action Jackson team for help! Many residents are guilty of this process, and we understand the reasoning why it is so often done. If the toilet is able to take away our waste, it should be able to take the kitty’s as well, right? Our residential plumbers say otherwise! For one, your sewer system is designed to efficiently flush down waste that is water-soluble. This means that the kitty droppings, which are dehydrated by the litter, can create major issues when flushed away. Once this petrified waste hits your pipes, clogs can quickly occur. The combination of clay and sand that comprises kitty litter also makes it a nefarious substance when exposed to sewer lines. The combination of gritty sand and sticky clay can work two-fold to both cause premature wear and clogs of varying sizes. Plus, the possible parasites and bacteria that may be found in litter can wreak havoc on your ecosystem, polluting the water in the process. The pollution brought on by what gets flushed into our sewer lines has become a topic of discussion over the last decade. While our sewage systems are designed to filter out human waste and other debris, they unfortunately cannot neutralize pills, medications, and other drugs that often find their way into rivers and streams. The effects on the environment and local wildlife are troubling, to say the least. It’s essential to properly dispose of your medications in a proper way, such as taking everything to your local pharmacy for a quick and easy drop-off. While not hazardous to your home’s sewer system, this action can make a major difference for the planet! There are many reasons why hair ends up in the toilet, but they are all unfortunately not allowed for the safety of your sewer lines. It’s easy to dispose of hairs in this method, yet, the strands that come from your head and face can act very similar to dental floss. Since hair floats and does not dissolve, it can remain trapped in your sewer lines for long periods of time, snagging other debris and waste that passes through. Be mindful of keeping hair away from the toilet, or you may be in need of major plumbing repairs! While there is literature in almost every public bathroom reminded citizens of this, instances still occur where tampons, pads, and other personal hygiene items such as cotton swabs are flushed down the toilet, creating a major issue for the plumbing. The logic here is simple: Cotton is made to absorb moisture and expand. When placed in the commode, cotton will quickly grow in size, creating major blockages and repair costs for homeowners and entrepreneurs alike. People who routinely flush cotton swabs and balls down the porcelain express can face costly plumbing repairs as well. There are many items that are not designed to break down in water, which can lead to an assortment of issues and costly repairs for those who do not follow proper protocols. 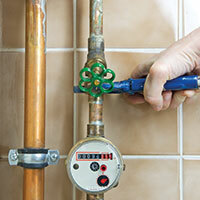 It is vital for the long-term health of your plumbing and wallet to be responsible in monitoring what is flushed down. 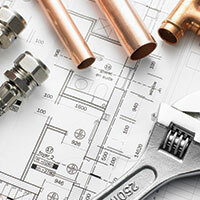 Anyone dealing with issues can benefit from contacting Action Jackson Plumbing. Our commitment to fast and efficient service will ensure that your home and finance damages are kept to a minimum. 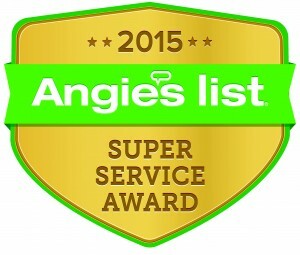 From inspections and drain cleanings to hydro jetting and more, our experienced team is here to provide the service to exceed your high expectations. Contact us today to schedule your appointment!